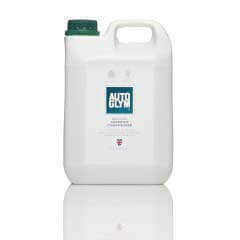 Autoglym Bodywork Shampoo Conditioner is a concentrated pH neutral shampoo. 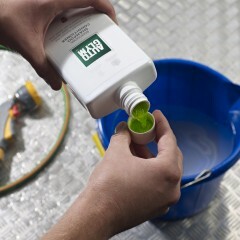 Suitable for all paint types and colours due to the active ingredients in the shampoo that work by breaking down dirt without stripping away any existing polish or wax. 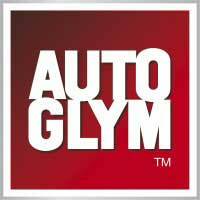 The low foaming solution leaves a glossy water repellent finish allowing your car to dry much faster. 1.Shake well. Pour 2 capfuls into a bucket and add 10 litres of warm or cold water. 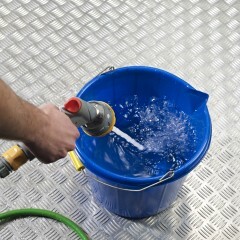 Hose bodywork to rinse away excess dirt. Always work on a cool surface, shampooing the car from the roof down. 3.Rinse well with clean water and dry with a Microfibre Drying Towel to prevent water spots.